Pic of bike is for placement only. You will receive 2 of the Slip-On’s in the main picture!! Yamaha’s R1 has caused quite a stir since its introduction. If you thought people were impressed with the bike before, wait until they see it with a Two Brothers Racing exhaust system installed on it. 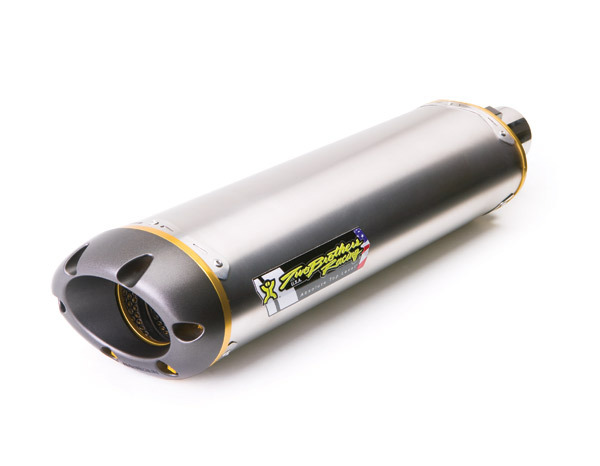 Overall you increase torque & horsepower and dress up the look of your bike with this dual canister high performance full exhaust system exclusively from Two Brothers Racing. 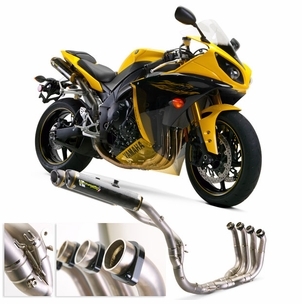 Designed and built with painstaking care and attention to detail, Two Brothers Racing is proud to release our Dual 4-2-1 full exhaust system for the new 2009 Yamaha R1.